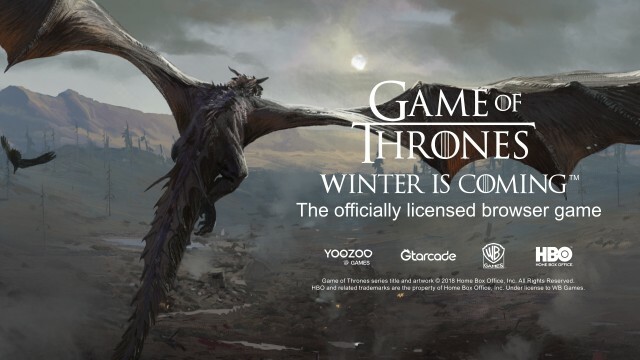 Yoozoo Games, a leading Chinese game developer and publisher, announced today that Game of Thrones Winter is Coming, a browser game officially licensed by Warner Bros. Interactive Entertainment under license from HBO®, is set to launch in spring 2019. 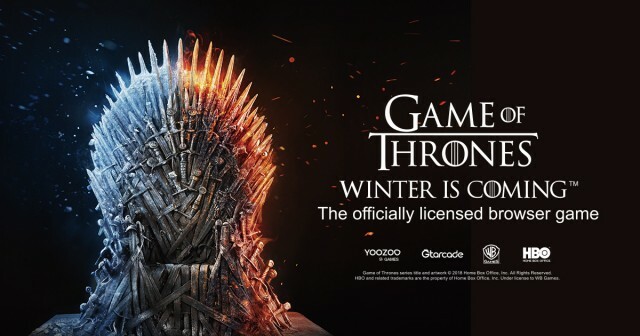 HBO®, Warner Bros. Interactive Entertainment, and Yoozoo are all working together to create a game that allows players to be immersed in the world of Game of Thrones. Developed by Yoozoo, the Game of Thrones Winter is Coming scenery, characters, and topography are all being designed by renowned artists, staying faithful to the look and feel of the critically-acclaimed, Emmy® Award-winning show. The story starts just after the death of Eddard Stark, where players take on the role of an ambitious Westeros lord, determined to save a people plagued by war and put a stop to the endless disputes between the Seven Kingdoms. Characters from Game of Thrones will appear across Westeros where the player will be able to recruit them to join their ranks. Game of Thrones Winter is Coming has been designed to give players a balance of strategy and roleplaying where they can create a house, customize their castle, expand their territory, train an army， and progress through the history of Westeros. Players will also be able to team up with their friends and participate in player vs. player battles. Game of Thrones Winter is Coming is set to launch in spring 2019. Yoozoo signed up for strategic cooperation with Warner Bros. under license from HBO®, at ChinaJoy 2017, securing the rights to make a Game of Thrones mobile game. Gamescom 2018, Europe's biggest games conference, will mark the browser game’s first appearance. A global pre-registration event for Game of Thrones Winter is Coming is now open where players can get access to rewards upon release. YOOZOO Games is a global entertainment company specializing in game development and distribution. The company is headquartered in Shanghai with offices in London, Berlin, Hong Kong, Singapore, and other major cities. Since its founding in 2009, YOOZOO has launched a multitude of highly successful products such as Legacy of Discord – Furious Wings and League of Angels, and has forged a strong global distribution network.